What's the Difference Between FTTC and FTTP, and Why Should You Care? What’s the Difference Between FTTC and FTTP, and Why Should You Care? We’ve all been there at one point or another. Sick of our Internet service, looking for a new way to connect to the Internet, but confused by the many different options. How do you know which to go with? 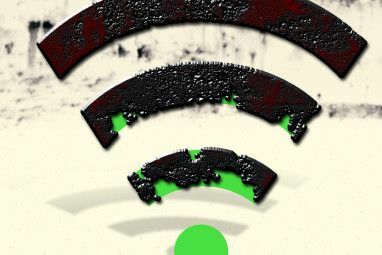 In situations like this, it’s easy to simply go with the recommendations of your provider, or just give boosting your WiFi signal 8 Tips to Effectively Boost Your Wireless Router Signal 8 Tips to Effectively Boost Your Wireless Router Signal If your wireless router's signal doesn't seem to reach very far, or if your signal keeps dropping for some weird reason, here are a few things you can do that might fix it. Read More a try. But are you really getting the connection that’s best for you? 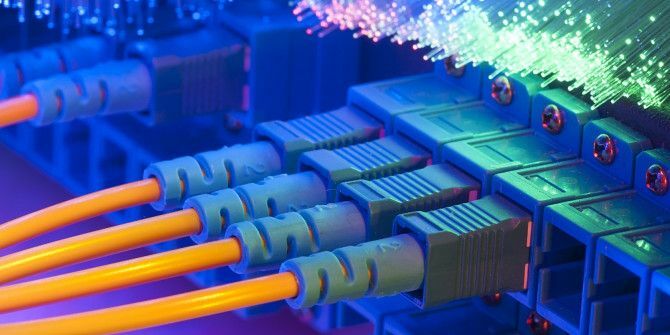 For now, two of the more advanced types of connections will be covered – Fiber to the Premises (FTTP) and Fiber to the Cabinet (FTTC). FTTP, also called Fiber to the Home (FTTH) is a pure fiber-optic cable connection running from an Internet Service Provider (ISP) directly to the user’s home or business. Fiber optic cables are made of one or more optical fibers, which are designed to carry light. These optical fibers have the width of human hair, and are covered with two layers of plastic to create a mirror around the fibers, total internal reflection. Light travels through the fibers and bounces at very shallow angles off the mirror-like sides of the plastic, managing to stay inside the cable at all times thanks to the total internal reflection. When speaking on a landline connected to a fiber optic cable, analog voice signals are transformed into digital digital signals. A laser at one end then flashes on and off at precise intervals to send each bit of data. This is how information travels through the cable. Today, billions of bits can be transmitted per second, with just a single laser. FTTC is a blend of a traditional copper wire cable and fiber optic cable. It uses fiber optic cables right up to the street cabinet (gray or green cabinets on the street that house active and passive broadband equipment), and then copper wire to connect the cabinets to homes and businesses. This is because it is incredibly expensive to install fiber optic cables in a home or a business, so copper is used as an economical substitute. It also has a feature called DLM, or dynamic line management. This automated system ensures that the connection remains stable and error-free, as well as fast and high-quality. It monitors the system and when there is a problem such as poor-quality or low-speed, it acts and will either apply interleaving (correct errors in the line, such as problems with signals) or it will slightly reduce your speed. Much of the time, however, DLM does not need to take any action. While both FTTC and FTTP promise high speeds, FTTP’s complete fiber optic connection allows for much higher speeds than FTTC. They are both faster than conventional ADSL, of course, but FTTP is much faster than FTTC, reaching speeds of 330 Mb/s while FTTC reaches speeds of up to 76 Mb/s. It is important to note that these may not be the speeds you are actually getting Are You Getting The Broadband Speed You're Paying For? Are You Getting The Broadband Speed You're Paying For? How fast is your Internet connection, really? Your Internet service provider quotes you speeds, but how do you know if you’re actually getting the speed you’re paying for? You can find out using one of... Read More , so it is vital to test your internet speed How To Test Your Home Network Speed (And Decipher The Results) How To Test Your Home Network Speed (And Decipher The Results) Read More from time to time. FTTC stands out as a copper/fiber optic blend, which makes it less expensive to install. However, it was not built for the long term and its potential bandwidth is very limited, while FTTP was built so that it could be expanded on and improved upon. But in terms of availability, they differ greatly. FTTC can be easily found for the casual user wanting to be hooked up at home. FTTP is typically only available for businesses. FTTP is great in that it provides high speed broadband service to users in their homes and businesses. Not only that, but it is designed so that people can go back into the system and add-on to it as needed, built with the future in mind. However, installing FTTP is incredibly expensive. 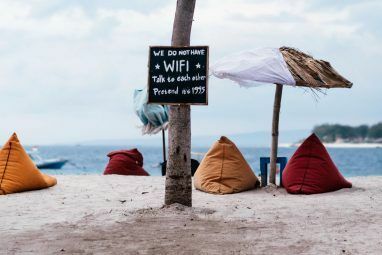 While it can be considered the broadband of the future as well as the most future-proof connection (in that it will be simple to add on to the system), trying to connect everyone would simply be far too expensive. New infrastructure would need to be added, and that involves digging up the roads and the sides of the streets to lay the cables. On the other hand, FTTC still provides great Internet speeds. The UK-based company Zen promises a minimum of 15 Mbps. You are also more likely to be able to find a provider for FTTC if you’re just a casual user. Many providers only offer FTTP connections to businesses, so the high-speed connection is not taken up by users at home. But FTTC is on the way out. 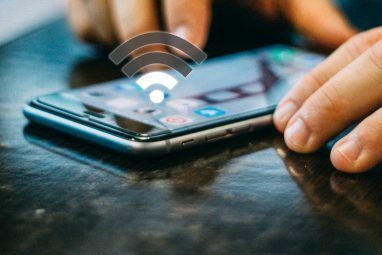 A recent study by the Technical University of Eindhoven and Dialogic predicts a need for about 165 Mbps download and 20 Mbps upload by 2020. FTTC just won’t be able to support that. Despite Australia’s sparse population, FTTP coverage is decent. The previous Australian government was working on launching a $36.9 billion National Broadband Network to 93% of the population at speeds of up to 1 Gbps. When Tony Abbott was elected, he promised to downgrade this project to FTTN, saying that for the average Australian, the current speed of 25 Mbps will suffice. Nevertheless, FTTP plans can still be found. Through Internode, NBN fiber broadband plans start at $49.95 and can be as much as $164.95 a month. The speeds offered are decent as well, starting from 12/1 Mbps and going up to 100/40 Mbps. Check out this article by Guy McDowell for more information on understanding Internet speeds Understanding Your Internet Speed Understanding Your Internet Speed So you're paying for a certain internet speed but what does that speed actually mean? How fast is it? And why does it seem so slow at times? Read More . In the United Kingdom, FTTC is still more common because coverage is sporadic and installation is expensive, because digging up roads in already established areas is simply too costly to justify. You are unlikely to find anything faster than FTTC unless you own a large business. However, there are still good FTTC plans. For small businesses, Zen offers plans starting from £15.31 to £79.00, with up to 17 Mbps. There are also BT Infinity packages for up to 76 Mbps starting for £25 a month. In the United States, Verizon’s FiOS is the largest FTTP deployment to date, offering speeds from 25/25 Mbps up to 500 Mbps, with prices ranging from $54.99 to $284.99 a month. AT&T offers U-verse With AT&T GigaPower, but that isn’t as widely available as Verizon’s FiOS yet. Keep in mind these may not be the speeds you are actually getting, especially if you use BitTorrent, as your ISP may throttle your download speeds Check If Your ISP Throttling Your BitTorrent Downloads Check If Your ISP Throttling Your BitTorrent Downloads Read More . If speed is what you’re after and price is not a factor, FTTP could be the broadband choice for you. If you’re on a budget and fine with speeds that are still faster than a regular connection but not as fast as FTTP, FTTC could be what you’re after. Either way, both are incredibly advanced broadband connections and care should be taken when making a decision. Thinking about changing your internet service? Tried FTTP or FTTC before? Leave a comment below and we’ll chat! Explore more about: Bandwidth, ISP. What Is Data Corruption? 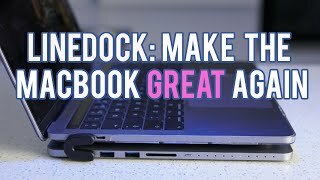 How to Fix a Corrupted Hard DriveWhat Is Android TV, and Why Was Google TV Killed? I’m very interested in getting the FDTS(FibreDownTheStreet) to FTPS4(FiberToPlayStation4)!! Or at least something similar. I’m capable if I had direction. Thanks for this article. We have very slow dsl from Cincinnati Bell which is the slowest service they offer they now have Fioptics. They installed fioptics in our whole neighborhood my brother lives up the street and he is on a private drive and i know they did not run cable to his house being so far I am guessing he had FTTN ? Anyway we live down the street and they installed ours in our yard every 3 houses they did something he had it and didn't like it I think he had problems with his tv service being at the bottom of a hill on a private drive i would expect issues.Now since he did not like the service my Mom will not upgrade ours she says he did not like it. Well he does not know the first thing about the internet and i know more than the rest of them I fix all the pc's whne they have issues. I said we need fioptics they say no dave didnt like it. I wish someone would tell them one's experience does not effect someone else's experience. And his tv not working his nothing to do with out isp speed.I think ours will also be ftth or fttp and his was fttn? Anyways we have the cheapest dsl Cincinnati Bell offers and it is slow we have 8 devices maybe 9 running on it i tried to explain to them we need Fioptics to speed up our connection of course the next best service will be better they do not understand this and distance cab effect speed I hear and he is far from the street. SO him not liking it really has nothing to do with us especially when he has no idea about download speeds or upload speeds all he knows is his 4 g phone is fast ya well fioptics is faster than crappy dsl also right?Man help me im stuck with these fools and my brothers bad experience with his cable tv. This is some of the dumbest stuff I've read. Where does the author get their quoted speed limitations of copper vs fiber? For one thing, the medium (copper or fiber) doesn't affect the speed of your connection, it more affects the distance. Fiber can go many kilometers without the need of regenerating the signal. Your copper ethernet CAT6 cable at the back of your PC or laptop is capable of running speeds of up to 10 Gb/sec, IMPOSSIBLE, IT'S NOT FIBER OPTIC FAST GUY STUFF. People are dumb and gullible. You're very lucky, Jonathan - but I sympathise heartily with your problems with BT, they're a nightmare. My partner works in IT and no matter how many contractors from how many different firms and companies are arranged to be on a site, it's inevitably BT which lets everyone down. As for their service to domestic properties, I could bore for England on the subject both with my own experiences and those recounted to me (with anguish, fury and at length) by other people. BT couldn't organise a game of ring-o'-roses in a children's nursery. However, now you've managed the hard bit: getting the cable properly set up and inside your premises, change from BT as soon as your contract expires. There are some good providers out there, with decent customer service and most of them cost a lot less (those that don't are usually offering something extra, such as a business, high priority service). I use Andrews & Arnold (AAISP) and they're excellent. Not cheap, I grant, but they really cut the mustard and their customer service is incredible (real, knowledgeable people who don't try and blind you with techie-speak when they don't know immediately what's wrong). They'll even do the 'daft' things which aren't meant to make a difference, but actually do for some reason best known to medical science - anything to get the best out of the (in my case appallingly bad) setup you're stuck with in terms of the infrastructure. I bought a house on a new development recently which was advertised as having high speed broadband. I thought it just meant FTTC but it was indeed FTTP. Having lived in previous properties using FTTC & Virgin's fibre optic network I was curious to see how this would be. Speed check confirmed I would be able to get 300mb, however at £50/month (or 200mb for £37/month) I decided to opt for the base 38mb (£10/month for 12 months offer, normally £23/month or £26/month for 78mb). First annoyance was in the set up. BT's systems had to set me up as a non fibre/infinity customer before they could then switch me to fibre/infinity (bizarre given I already had a phone line/internet with Sky). So Homehub 4 was sent out & once I had standard internet services they could then request fibre. Then the Homehub 5 came! (BT agent expressed similar despair at their systems). Next annoyance wasn't BT's fault but more my housebuilder. The house came with FTTP wired up to the outside but not into the property. Thankfully as I live in an end terrace I was able to get the cable around the outside of the house & directly into the living room where the router would live. The alternative, that a neighbour had to do, was bring the cable in & have it follow the skirting around to where she wanted the router (not ideal in a brand new house but a necessary evil). But once up and running, wow. I get bang on 38mb down/9mb up as advertised. After the 12 month offer ends I will up it to the next package up. Hopefully they will introduce a tier in between 78 & 200mb in the future. But so far, so good! Huh! That's my considered comment. Living in a rural (but not frantically remote) area, despite promises from various politicians, injections of cash from the Government a few years back, stable and fast broadband is a distant corpse light. (At the moment we are scheduled for an upgrade - if all goes to plan (ha, ha, ha, ha...) in the middle of 2018, to a blistering speed of 1 Mbps.) Our last major upgrade, in 2013, was the replacement of the looping copper wire to the premises; the engineer who came to replace it said that the wire dated from 1948. I've got friends living in very remote locations in other countries (one of whom was until recently looking for the missing link - which, as you can imagine, means seriously remote), and they've got better broadband than we've got in this soi disant civilised country. I work from home and, frankly, it's embarrassing working with people in other countries because they must think I'm making excuses when downloads and uploads take so long and not infrequently fail. I have to work at very high speed and use every workround in the book just to make up for the pathetic state of our broadband. All the Government initiatives and braggadocio speeches about moving forward into the next century, commuting along the information superhighway, empowering the digitally disadvantaged, etc. and so on mean absolutely nothing without even this most basic of commitments to the infrastructure. Much like in my country, PH! I am sure we'll be seeing this type of connection in the turn of the century when the monopolized telcos here adopts 'innovation'. In New York we have the Tweedledum Party and the Tweedledee Party both in the pockets of the cable, wireless and telco companies. Fortunately the FCC called them out on how backward we are - they raised the definition of broadband. Maybe the Cubans have the right idea: make your own internet. I'm very lucky in this regard. I get pretty killer speeds, and we do need it with a family of four and three of us working from home and going to school. But. I live 30 minutes from LA, which isn't rural at all. Hope the bs gets resolved soon, because it's ridiculous that people are getting screwed and left out of this. Taylor Bolduc is a technology enthusiast and Communication Studies student hailing from southern California. You can find her on Twitter as @Taylor_Bolduc.